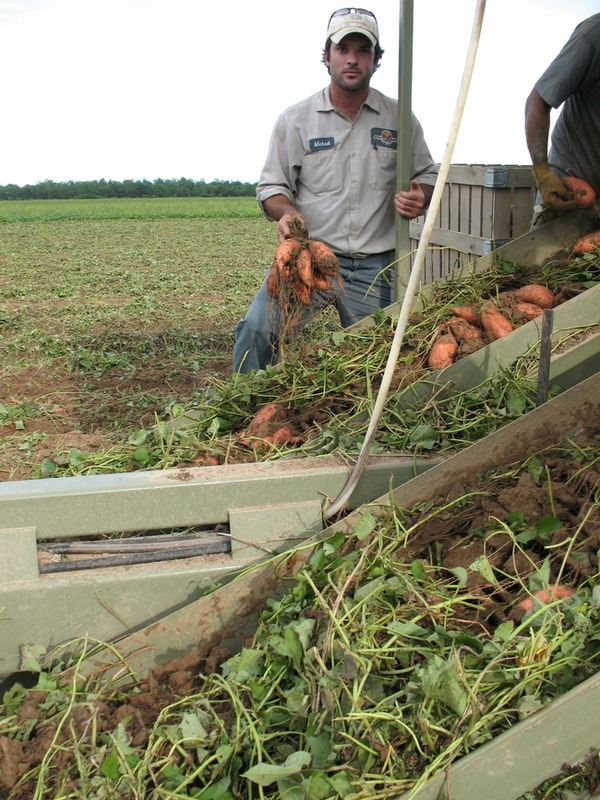 “Garber Farms grows over 1,000 acres of sweet potatoes annually. Our average yields over the past 10 years has steadily increased to around 675 bushels per acre. The Foundation seed program provided by LSU has been the core input of our production practices. Its ability to provide Garber Farms with a viral-and disease-free clean plant product has allowed our transplants to have the potential to produce higher yields. In our climate of high humidity and high temperatures, virus and disease pressures are extreme, so we keep our plant production within two generations of the G-1 viral free foundation seed furnished by the LSU Experiment Station. The clean plant program has given our commercial production the economic confidence to increase all input levels in a constant effort to reach for greater financial returns per acre. While we seldom plant past G-3 seed, when we have tried G-4, it has been obvious that yield potential drops significantly. The quantity and quality decline results in revenue reduction of 25 to 50 percent.